Every time I go into Primark I check out the range of nail polishes and accessories. A little while ago they had a rebranding of their range and turned it into P.S Love. It's definitely the same polish as it used to be as it has a very distinctive smell but it looks a bit prettier and the range of colours is better. For £1 I didn't expect a brilliant polish but this range is actually OK. It applies quite nice and evenly although you will need about three coats. Other than the price, what sold me on this range was the choice of colours. There's a great selection of neon shades. My favourite of the ones I purchased was this pink. I used Polish Me Silly's Monster Mash on my accent nail and then topped everything off with a matte top coat. I wouldn't say that they were my fave polishes ever but I think they are great if you are planning to use them for nail art where longevity doesn't really matter as they do chip quite easily. 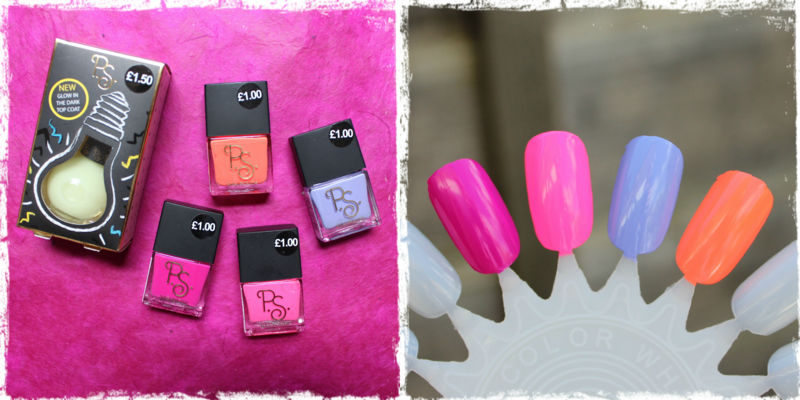 Have you tried any of Primark's nail polishes or nail accessories? What did you think? Daria Nails! La La La La La.